She was all dressed up in Slytherin chic! Surprises just kept on coming for Liza Soberano’s 19th birthday! After being given a lust-worthy Chanel Boy Bag by beau Enrique Gil, the Kapamilya star celebrated with an intimate birthday bash thrown by her management, Star Magic. If her 18th birthday was all about boho chic glamping, Liza’s 19th was everything a Harry Potter fan could ever dream of! Here she is being sorted into her House with an actual Sorting Hat! Yup, Liza went all green as she was sorted into Slytherin. Liza’s showbiz guests included Quen, and close friends Julia Barretto and Sue Ramirez. The party was all about the Harry Potter details—Undesirable No. 1 posters (with Liza’s face on it! ), flying Hogwarts letters, the entrance to Platform 9 ¾, and so much more! And here’s a couple pic, of course! 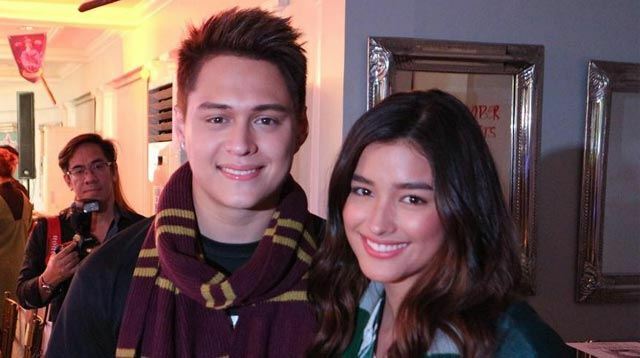 Who knew Quen was a Gryffindor?